If you are a trader just starting out, or are not achieving the results you want, I can help. Books, blogs, and YouTube videos are all fantastic educational resources so long as you have sufficient market experience and context to put the ideas to work. From my experience, most slightly-losing to break-even traders are much closer than they realize to achieving consistent trading profits. 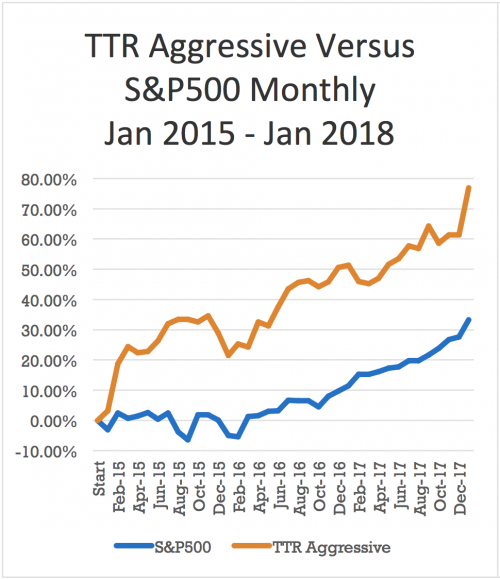 A few small adjustments to the way they think or tweaks to their trading strategy can do wonders for their long-term profitability. The issue for traders is that it can be very difficult to self-identify these roadblocks given how immersive trading and trading education can be. This is why hiring a mentor to talk through your situation can be the best way to break through the current barriers holding you back. I’ll work with you one-on-one and offer objective advice to help accelerate your learning curve and save you months, if not years, of trial and error and costly investment mistakes. My goal is to ask tough and revealing questions, poke holes in existing processes, and ultimately leave you more confident than you started. My specialty is swing trading, and if you just want a deep dive into how I trade, that's great! But I also have lots of experience with various types of intraday strategies, tactical asset allocations, algorithmic trading, and much more. You’ll come away with a handful of new ideas and perspectives to build on top of and try on your own. Evan's personal mentoring and availability via email greatly improved my trading and helped me get most out my trades. Couldn't have asked for a better wingman to watch my tail as I tackle ETFs intraday and then take his swing trades near end of the day. I have been following Evan’s service for more than 4 months and the result have been more than satisfactory and so to speak, very profitable. Evan’s daily commentary helps navigate through the market changes and assess one’s trading plan when to get aggressive and when to be conservative. I would recommend Evan’s service to all my friends interested in stock trading. For traders looking for momentum, Evan’s service is definitely the one to go for. Coder turned trader, I have a Bachelor of Science in Computer Science and background in computer programming, but my real interest is financial markets where I have been actively investing for close to 10 years. I’ve organized monthly trader meetup groups all over the country for the past several years. I’ve written close to 1,000 articles and recorded hundreds of hours of video on trading, market analysis, and education. I’ve been identified by Stocktwits as a Suggested and Recommended follower. Fill out the form below and explain where you are with your trading, what you’re looking to achieve, and where you want to be. Based on that I will put together a plan of action of how I think I can help you and what specifically we will work on to get you where you want to be. Recorded delivery or discussed together. Recorded based on your specific questions. Please see our coding page. If you're in the Greater Seattle area. We'll tailor something that works for your needs. $250 for 90 minutes. All traders must start with this initial foundation session. Additional hours can be purchased in blocks of 60 minutes billed at $150/hr.